This year’s IESAF Christmas Party will take place on Friday, the 24th of November 2017 at Molly Malone’s in Helsinki. 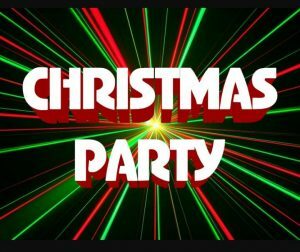 The evening kicks off with a free Christmas buffet which will be followed by the traditional Christmas pub quiz (Which is shorter than the normal quiz). As if all that isn’t enough to round off the evening, the Molly’s band and a DJ will play late into the night – so come along and meet some old faces as well as many, many new ones! The cost is for the quiz is 10€ per team and each team is allowed a maximum of 8 members. You do not have to take part in the quiz, just come along and enjoy the party. Hope to see you all there and please SHARE this event with anyone, as we would hate for them to miss out. There will be a 3 euro coat charge on the door. The next pub quiz is coming up fast, so get your team together for a great night out; the quiz is in English and will be held in Helsinki city centre. If you don’t have anyone to come with or do not have a full team, don’t worry as it is always easy to join a team (and make new friends!) on the night.